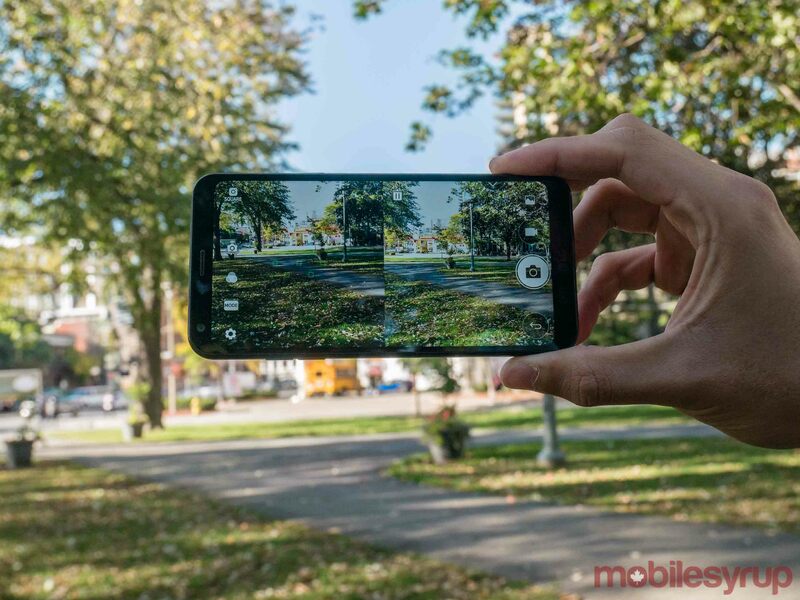 The Q6 is LG’s newest mid-range offering in Canada and I have to say, it was odd reviewing this smartphone. The phone, as beautiful as it is, lacks specific, important features. I wanted to like it, but I was constantly reminded of what the smartphone was lacking. First, let’s start with what LG did right with the Q6. It’s evident that LG’s main focus for the Q6 is the phone’s display. In fact, the handset’s screen is very similar to the LG X display — a smartphone first released in 2016. That device never made it to Canada, but it featured a unique secondary ticker screen that was also included in LG’s V-series devices. 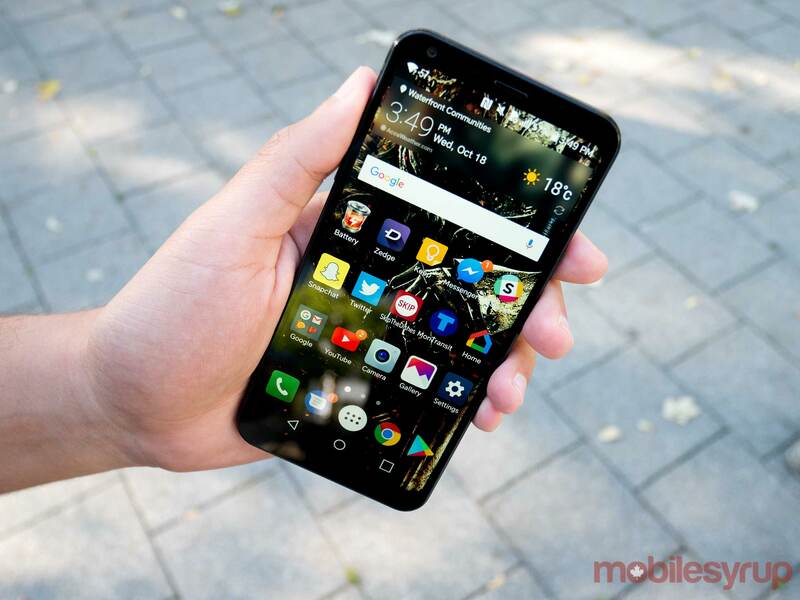 Similar to how the LG X Power (and X Power 2) focus on battery life in a budget form factor, the LG X Screen’s aimed to offer a premium display experience in a budget form factor. While the Q6 doesn’t include the secondary display from the discontinued LG X Screen, it does include similarly high-end display features: ‘FullVision’ technology and an 18:9 aspect ratio. The Q6’s 5.5-inch IPS LCD display features a 1080 x 2160 pixel resolution and 442-pixel-per-inch (PPI) density. While the Q6’s screen can’t be directly compared to a flagship smartphone, it outright beats any mid-range phone screen I have ever used. It’s even comparable to the OnePlus 5’s 1080 x 1920 pixel AMOLED display — though, in my opinion OnePlus’ is slightly superior. The smartphone’s screen looks great from all viewing angles, and has a max brightness of 457 nits. However, in direct sunlight, the device’s Corning Gorilla Glass 3 display is too reflective and is difficult to view. In general, I felt the smartphone’s display showed colours that were too cold. I noticed it featured a blue tint that was especially apparent with the phone set to max brightness. After looking at the device for too long, I was getting headaches, which I didn’t notice until I turned on the phone’s ‘Comfort View’ functionality. ‘Comfort View,’ which makes the display slightly warmer, actually worked perfectly as I typically find this functionality too yellow with most devices. The auto brightness also helped with the blue tint, though I found it didn’t adjust correctly under brighter light conditions, or during night-time. That said, some users might actually prefer the blue tint of the Q6’s display — it certainly doesn’t detract from the screen’s beauty. The display has no light bleed whatsoever and blacks are very dark. Images look vibrant, though the colours don’t seem true to life, which some people might not be fond of. However, videos on Netflix and YouTube are crisp and detailed. While larger smartphones require a higher pixel density, the high-definition display featured in the Q6 amounts to 442 PPI, which is sufficient for streaming both cartoons and live-action videos. As mentioned previously, the LG Q6 features an 18:9 aspect ratio and slim bezels all around the phone. While the Q6 looks stunning — and matches the looks of near bezel-less flagship devices released this year — holding the phone is a different story. I found the Q6’s frame way too small for my fairly average-sized hands. This was interesting considering I’ve been using the 5.5-inch HTC U11 for the past couple of months and the two devices share the same display size. The Q6 features a 142.5mm x 69.3mm x 8.1mm frame, giving it a 78 percent screen-to-body ratio. While a small screen-to-body ratio looks stunning and feels appropriate on larger devices, it’s too small on the Q6. The device simply feels weird to use, especially since I’m accustomed to holding smartphones with two hands for typing. Don’t get me wrong: the Q6’s one-handed usage is great. Its small frame makes it easy to stretch my thumb across the smartphone and do whatever I need to do; however, when it comes to typing or any other use-case that requires holding the Q6 with both hands, there simply isn’t enough real estate. On the other hand, my co-worker — MobileSyrup senior reporter Rose Behar who does have smaller hands than me — likes how the smartphone feels. People with smaller hands may find the device beneficial for easy one-handed and two-handed use. Note that the Q6 doesn’t use up all of the display when watching YouTube or Netflix videos. This is frustrating, as it leaves an unnecessary black bar at the bottom. However, the Q6 does have an option to change the aspect ratio on certain apps so that it more appropriately uses up the complete display — just not while watching videos. Additionally, the Q6 features MIL-STD 810G certification, the military grading applied to devices that meet a certain criteria of sturdiness, though it’s not IP certified. As for its backing, the Q6 also has a plastic rear surface that scratches easily, giving it a less than pristine look. While it’s no powerhouse, the Qualcomm Snapdragon 435 chipset that’s in the Q6 runs quite smoothly. I rarely experienced any lag or slowdowns during my time with Q6. I did encounter a bit of a slowdown when the device had been running multiple apps — some of which that were using GPS services. There was even a bit of a heat up, though closing Google Maps and some of the other apps quickly resolved the issue. For the most part, however, the Q6 cruises on with its 3GB of RAM, octa-core CPU and Adreno 504 GPU. I didn’t experience issues or overheating problem while playing less resource-intensive games like Super Mario Run for around 10 minutes. However, with higher-end games like Asphalt 8, the device began warming before I even started playing. After playing Asphalt 8 for fewer than 10 minutes, the phone started to feel uncomfortably warm and reached a temperature of 38.9 degrees Celsius. Another minor issue is that there’s a slight delay when opening apps. It’s possible, however, that this is something I might have noticed only because I’m currently using two other flagship smartphones which utilize Qualcomm’s more powerful Snapdragon 835 processor. In general though, I was surprised at how well the Q6 functions. In comparison to the LG Stylo Plus 3, the Q6’s performance is smoother all-around. 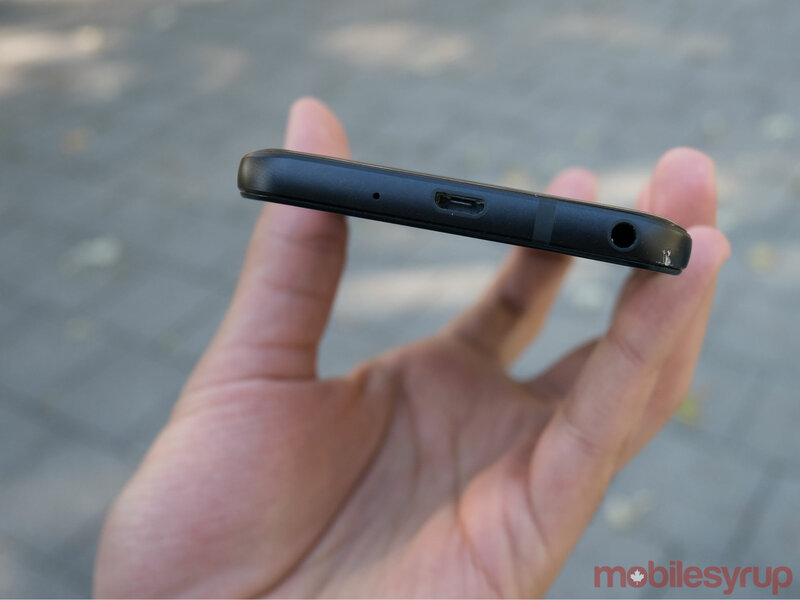 Although, like the Stylo Plus 3, the Q6 noticeably heats up if used while charging. LG’s skin on top of Android 7.11 Nougat also isn’t overbearing, but it’s far from stock Android. 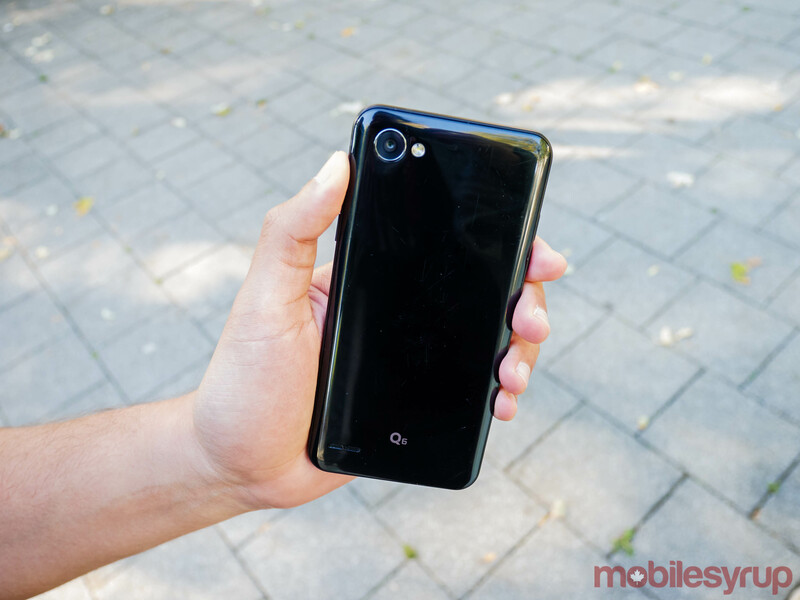 It features many LG versions of stock Google applications, such as LG’s photo app, messaging app and music app, which can be hidden but not deleted. 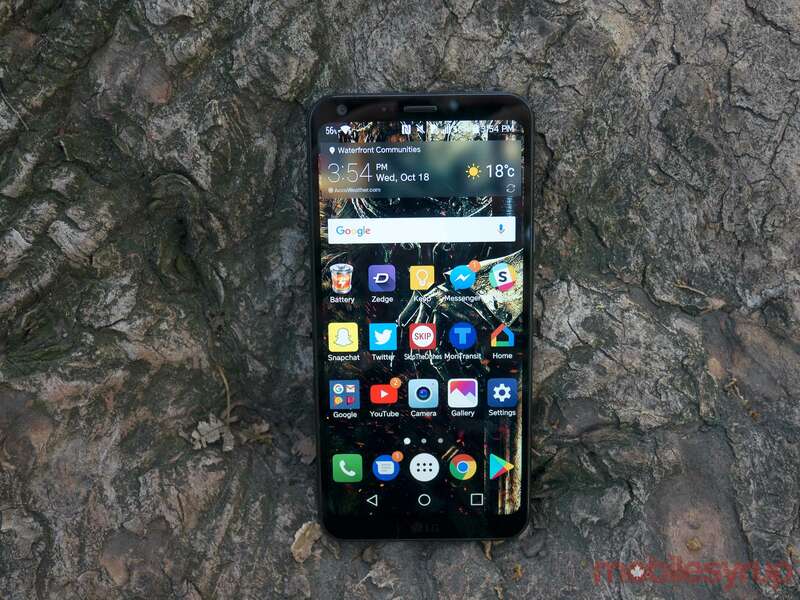 The Q6, like many of the LG smartphones offered this year, doesn’t have an app drawer when first launched, though it can be quickly installed within the settings. The handset also lacks a dedicated Google Now page to the left of the home page like other Android devices, and Google Now must be activated by pressing on the ‘Search Widget’ or using the Google app. The LG Q6 features a 13-megapixel rear-facing shooter with a f/2.2 aperture, auto focus and LED flash. Using the Q6’s camera is a weird experience, and I have to say I expected a lot more from the device’s rear shooter. All of the pictures are over-sharpened, causing them to generate noise. The Q6’s camera attempts to define the edges of certain objects though sharpening, but when looking at leaves on a tree, this results in a blurred effect. This problem is evident with nearly every single picture I took. Additionally, the camera lacks any form of image stabilization. This means that you need to keep the Q6 very steady under low-light conditions to get sharp photos. Images outside always made the sky look overexposed, resulting in the rest of the scene appearing darker. In contrast, low-light photos taken without using the Q6’s flash appear far too noisy. It’s unfortunate that the flash is necessary, as I found other devices don’t need the flash to capture the same photo. The Samsung XCover 4‘s photos aren’t perfect either, but adjusting that phone’s camera settings leads to better low-light images than the Q6. The Samsung Galaxy A5, another mid-range smartphone (at a higher price) also takes better low-light images than the Q6. The Q6 does beat the camera quality of the LG Stylo Plus 3 and is comparable in quality to the LG X Power 2. The Q6’s 5-megapixel front-facing camera isn’t much better and often captures photos that look soft and slightly blurry. 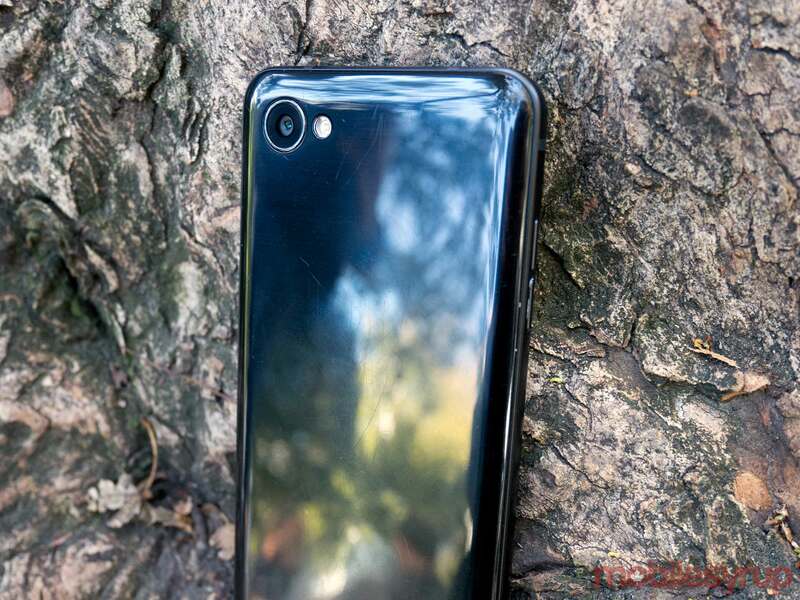 The camera also includes an interesting feature where it utilizes the Q6’s complete display by taking a snapshot on one side of the screen, while having a still of the last image taken show up. This circumvents the need of going through the device’s gallery to see the last picture taken. While camera isn’t the best thing about the Q6, the phone suffers in other areas as well. The LG Q6 lacks an LED notification light, as well as an always-on display like the V30. Additionally, it lacks Ambient Display and a raise-to-wake feature. 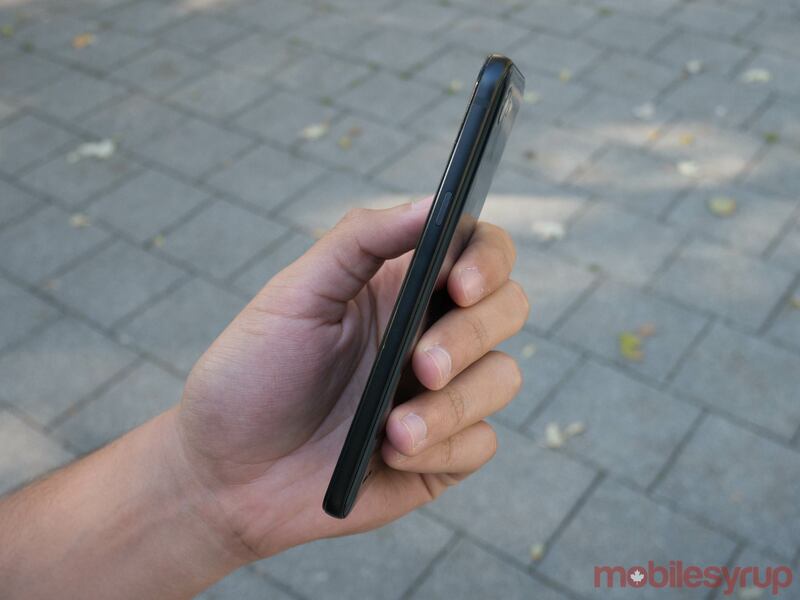 The handset has ‘KnockOn,’ a functionality which allows users to double tap to wake the screen. Without any lights or Ambient Display, however, I never knew when I had a notification or needed to KnockOn. Not only does the Q6 not have any way of notifying its user when they’ve received a message or a missed phone call, the phone doesn’t have a fingerprint sensor either. 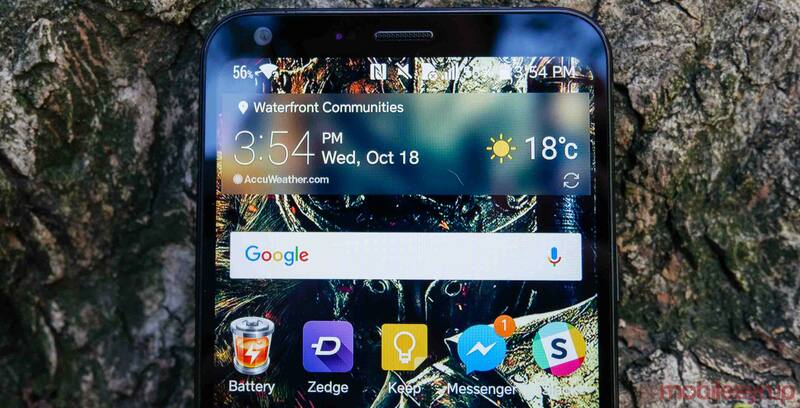 While some might make the argument that this is a budget phone and not all budget or mid-range phones have a fingerprint sensor or LED notification light, the LG Stylo 3 Plus is a smartphone that’s $100 CAD cheaper than the Q6 and has both of those features. The Q6 does feature an alternative way of unlocking the device: facial recognition. Still, the phone’s facial recognition isn’t the greatest and sometimes didn’t register my face, with or without glasses. I generally found that it was faster to unlock the Q6 with the PIN unlock. The Q6 also lacks notches on any of its buttons — which is not necessary — but would’ve been appreciated. Audio-wise, the LG Q6 gets loud enough to hear from another room. Its sound is a bit tinny, however, and does not feature any sort of bass. While the Q6 is good for watching the occasional YouTube video, it doesn’t provide the best listening experience. Even worse, the Q6 features rear-facing speakers which are very easy to cover up either in the hand or placed flat. The Q6 utilizes a 3,000mAh power source, which is decent for a small device and is definitely necessary to power the phone’s large display. While using the device as my daily driver, I found the phone would at least me until 9 or 10 p.m. — this is with about two hours of browsing on Facebook or reading with the Kindle app, and sporadic texting throughout the day while at work. However, at least 21 percent of the battery goes to the device’s display and the smartphone will lose at least 10 percent of energy in one day even when it’s idle. On another occasion, the Q6 was dead a little after 7 p.m. after leaving the house with the device fully charged at 9 p.m. That day I had used the smartphone more continuously throughout the day, though I was attempting to mind my battery. I used about 20 minutes of GPS and nearly four hours of texting, going through Facebook and browsing the internet. On average, the Q6 stayed at around 30-degrees Celsius, with it occasionally heating up to 35 to 38-degrees Celsius. It's unfortunate that LG put such a nice FullVision 18:9 aspect ratio display on a smartphone with so many considerable faults. Don't get me wrong, there are some great aspects to the phone. As mentioned before, its processor ran quite smoothly and, damn, that display looks great, especially on such a small device. I just wished they put a little more into what the device can do other than just its screen. 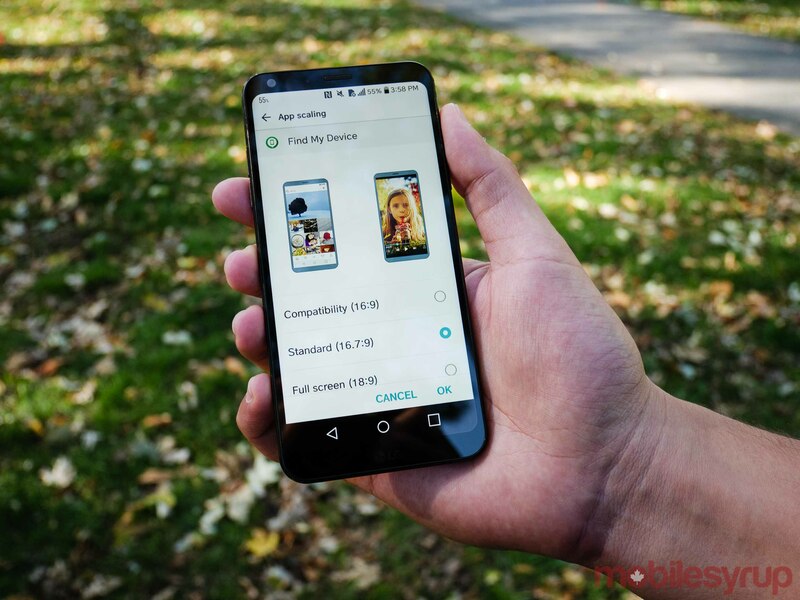 On contract with Canadian carriers the Q6 is zero down, with an outright price between $410.95 and 449.99 CAD. I feel this is a little too much for a mid-range budget device. If the device had a lower price point, something similar to the LG X Power 2 -- which cost $249 -- or even the $349 price point of the LG Stylo 3 Plus, I'd be more inclined to recommend the Q6. "Remember you can't judge a book by its cover."